I'm super excited to review Quilt Traditions by Devon Lavigne. Devon is a quilty friend and what's more, we both share the same birthday! Not the same year, of course, but we are both Leo gals. Devon has recently released Quilt Traditions and the projects in the book feature her amazing piecing skills. Unlike me, Devon is a piecing type of gal: I'm more of a raw edge appliqué type of quilter. This is okay though because I was able to help Devon out with a bit of appliqué on The Oath, one of the beautiful quilts in Quilt Traditions. Quilt Traditions features mostly pieced projects of a larger size: no table runners or mug rugs in this book. Devon uses a variety of techniques, including paper piecing and templates, to create the quilts in Quilt Traditions. 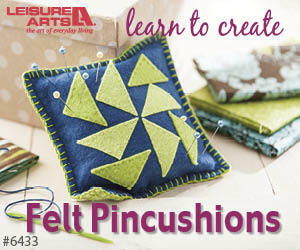 This is a great way to learn a new technique or improve your piecing skills. Many of the projects also lend themselves to using fabric scraps, which I'm sure most of you have (or am I the only one with overflowing scrap bins?!). To learn more about Quilt Traditions, watch the video below or on my YouTube channel. Devon and I are just putting the finishing touches on a project that I'm really exciting to be involved in. It's not quite ready for release yet, but I promise I'll tell you all about it on Monday, so check back with me then. P.S. I'd love to have you join me in my private Chatterbox Quilts' Facebook group. We have discussions on quilting and vintage sewing machine topics. I hope you'll consider joining and will chat with you there.